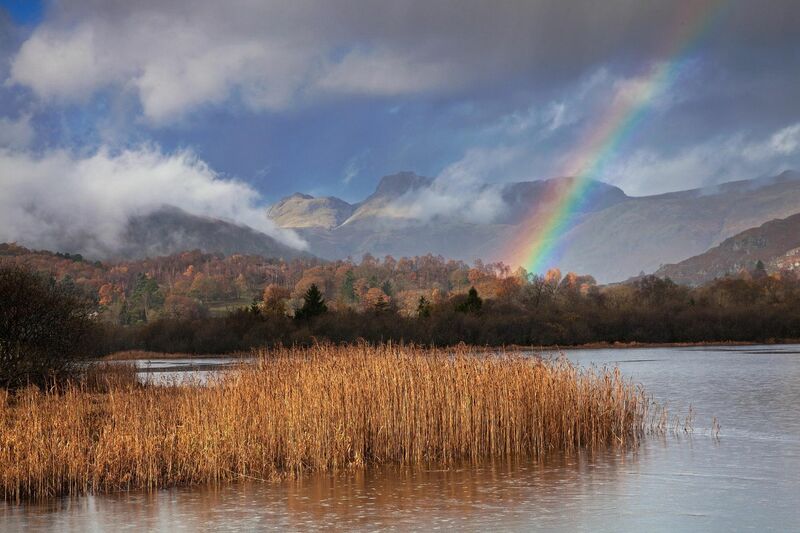 On my ‘bucket list’ has always been to capture a Langdales Rainbow at Elterwater Tarn. I finally managed to ‘tick’ this one off on a recent trip to Elterwater with a couple of friends Keith and Phil. We had to wait sometime for the rainbow to appear and couldn’t have wished for a better position - directly over the Langdales. I not only like the rainbow but the light over the Langdale Pikes as well as it catches the autumn colours in the valley beyond.